Hi Friends! 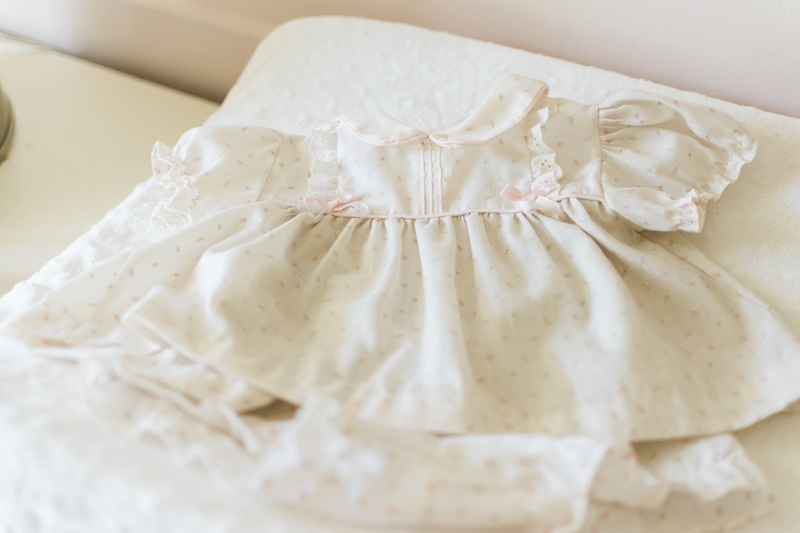 Today is a special Nursery Feature that I have been on pins and needles, excited to share! 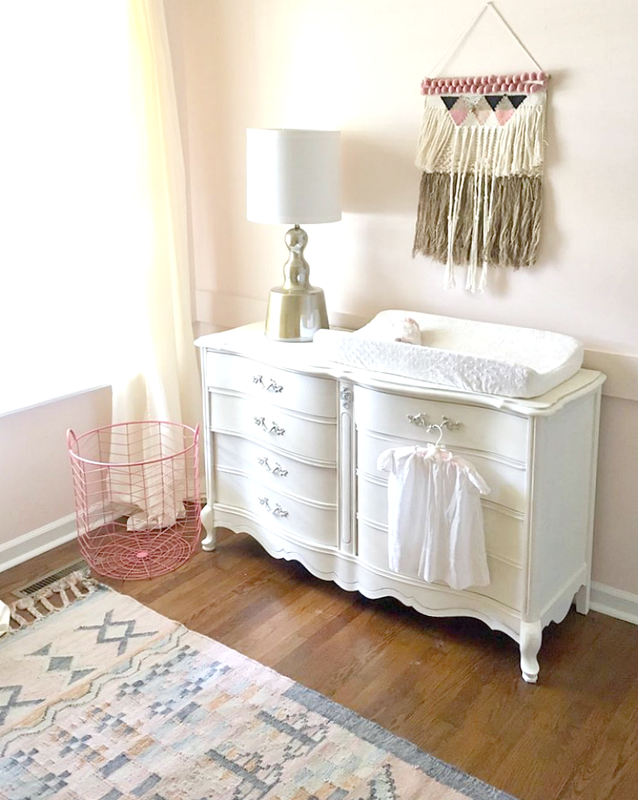 This nursery belongs to a sweet baby girl that we all are looking forward to meeting next month! Her beautiful and talented mommy is my good friend Rylin Crane. Rylin is a master artist and has an eye for incredible design! She also helps run her parent's gorgeous downtown furniture, accessories & original art store called Art & Soul! Rylin was one of the first mom's I met after moving here 3 years ago. She is our church family pastor's wife and a wonderful mom to two adorable boys! 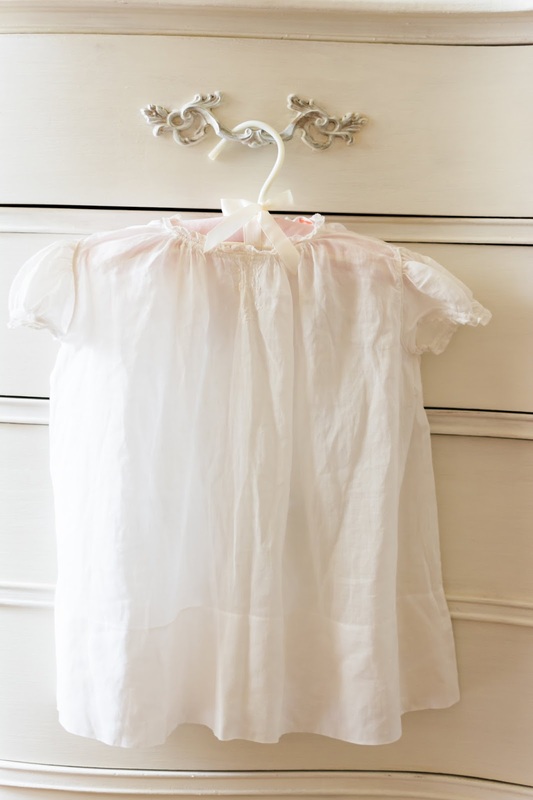 With two boys under her belt, you can imagine her excitement when she found out they were expecting a baby girl. 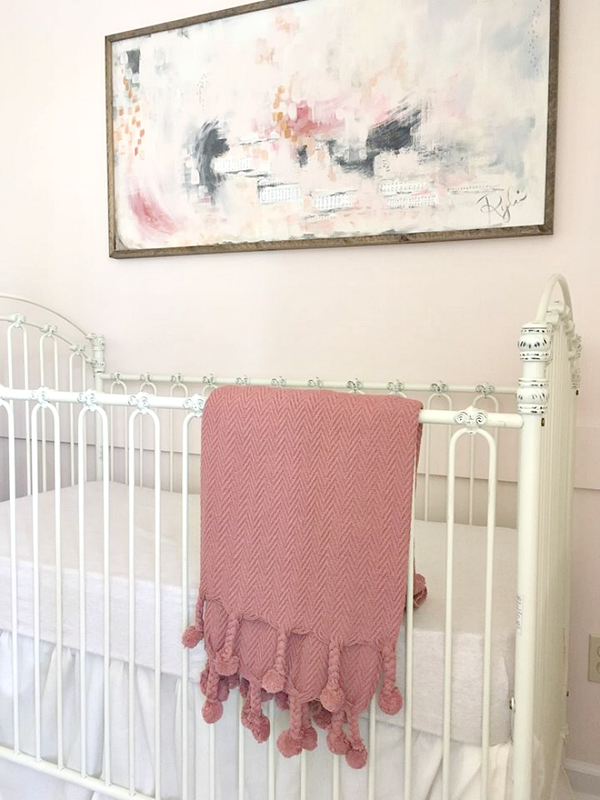 She was finally able to exercise the "pink" side of her creativity when it came time to design her baby girl's nursery! I love Rylin's style. I like to call her interior design style "Eclectic Elegance". 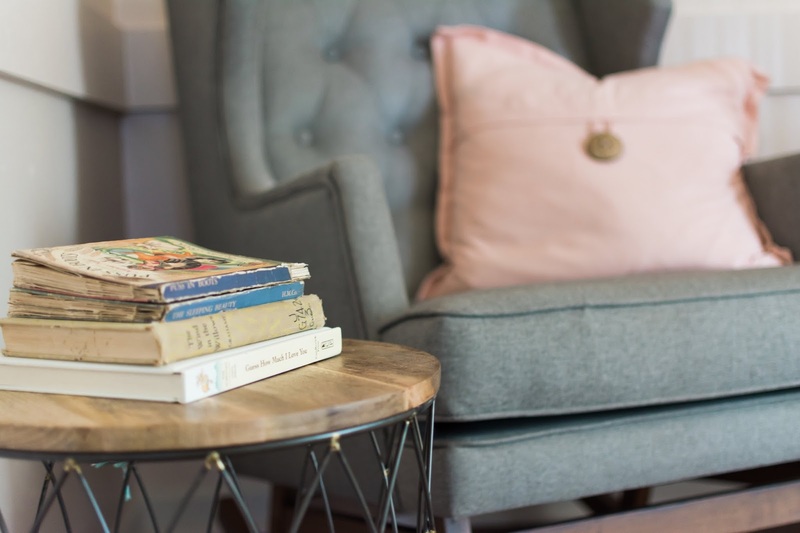 She is not afraid to blend high-end designer items with vintage refurbished pieces creating a warm yet refined space that is inviting and filled with charm! 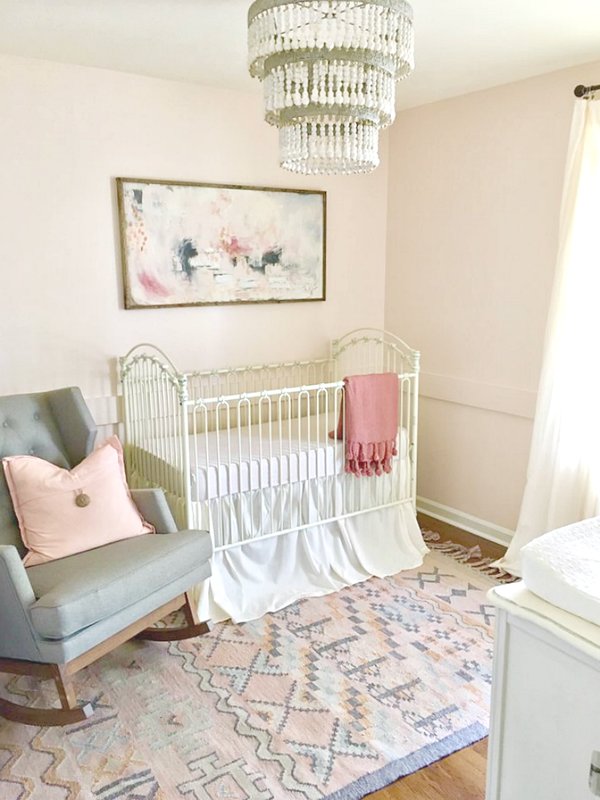 It is no surprise that Rylin effortlessly created the perfect sanctuary for baby Rook providing a calm, cozy and peaceful place for her to call her own! 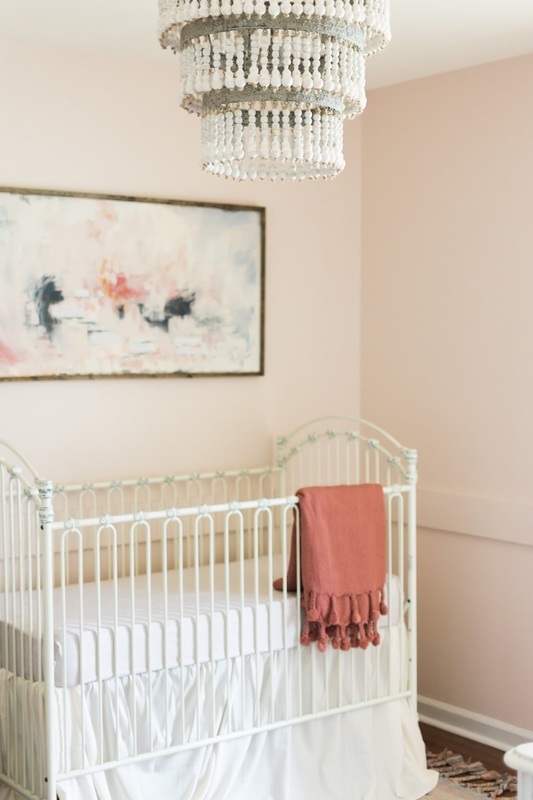 I am so in love with the sweet simplicity of this space and the timeless fresh look that it exudes. It will not be long until we get to see those precious baby photos of Rook enjoying her little oasis at home and I can't wait! *Love what you see? Find all detail credits and links in photo captions below. Photo Credit: Kalyn Wilson Photography. 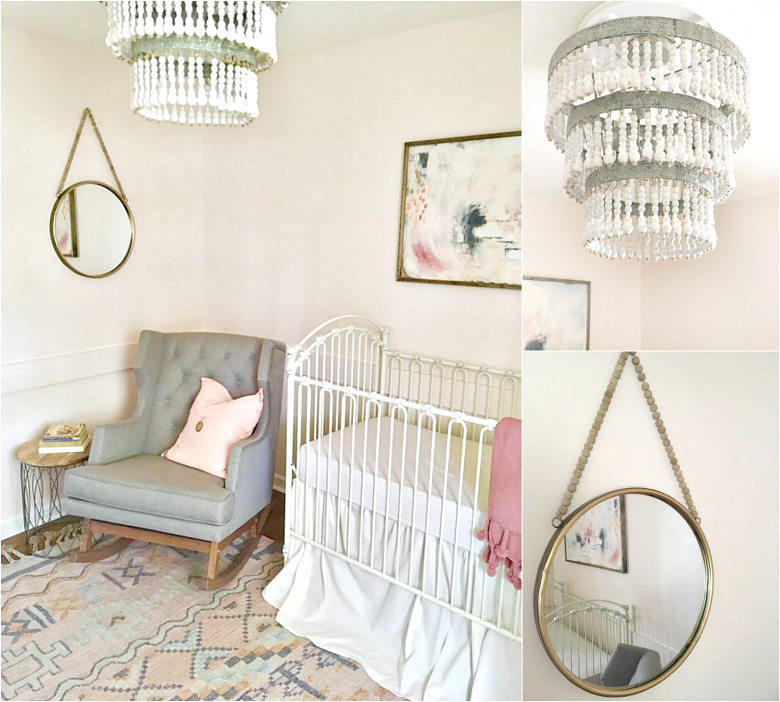 Wood Beaded & Metal Chandelier, Pink Throw with Poms in stock at Art & Soul! 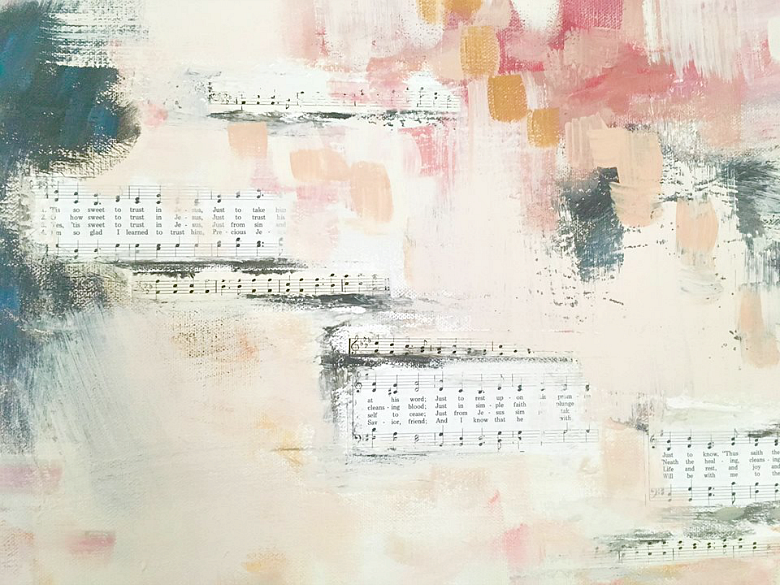 Original Custom Mixed Media Artwork by Rylin Crane with the hymn "'Tis so sweet to trust in Jesus" lyrics.